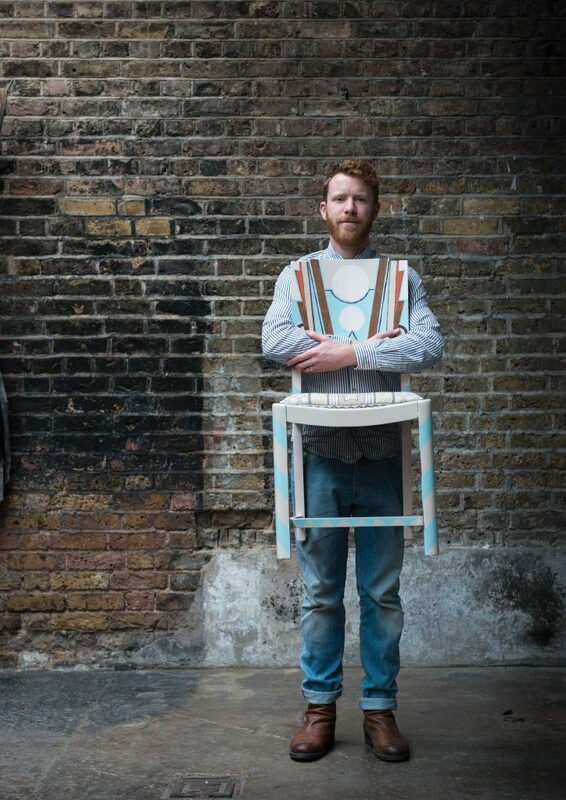 We are very pleased to announce a very special collaboration with fine paint manufactures Farrow & Ball. 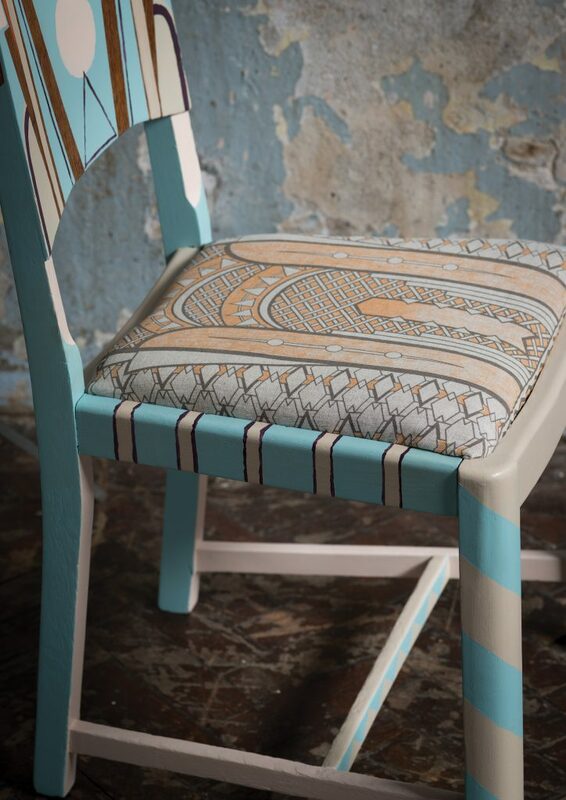 Asked to adorn an Art Deco chair from the 1930’s with our new pattern collection we jumped at the chance! Using a selection of well know colours such as Blue Ground® No.210, Pink Ground® No.202, Oxford Stone® No.264, Charlotte’s Locks® No.268, and Pelt® No.254 we set about hand painting the final result.